The Knowledge Academy online tutoring providers have finally discovered the value of modern technology in the classroom. Surely, using high tech in excess has adverse consequences, too. It is, therefore, necessary to know how teachers and their students can both benefit from technological innovations and beware of the things to avoid. In this post, we will try to demonstrate both the positive and negative sides of using technological innovations in education. According to the recent study published by Campus Technology, approximately 77% of the faculty believe that technology has made their work and learning process simpler and faster. That is why we will cover the positive impact of technological diversity first. The tutors’ job is to make sure that their students understand the concepts and are able to interpret them. Modern tutors are also interested in their students applying high tech to those concepts in real-life situations. This way, they can help them develop critical thinking and problem-solving skills. Modern technology also makes time management a lot easier. Instructors today serve mostly as facilitators by offering their students valuable feedback regarding their works. High tech has enhanced educational opportunities significantly. Learning has become simpler and more effective. Thanks to a more profound understanding of important concepts, students can now survive much better in the adult world. When used wisely, digital devices and the Internet pose no risk or danger and become a rather helping tool. Teachers should, therefore, learn how to embrace these things to be able to make their classes more engaging and develop new teaching methods. With the help of the Internet, it is possible to develop student communities and discuss the issues covered in class. These communities can interact in real time with each other. It helps young people brainstorm ideas, share experience, and solve homework and team assignments more effectively. It is all about working in a team, even when you do not have an opportunity to meet with your classmates or tutor face-to-face. Various forums make it possible to obtain valuable feedback from instructors and other students. Thanks to them, you can also ask questions and try to find solutions to the existing problems. While some students are good at math, others do well in humanities. That is how they may benefit from each other. More and more apps are appearing today that can help students figure out how things work in real life. It is even possible to explore planetary movements, learn why the dinosaurs died out, see how earthquakes start, etc. Simulations also help to enhance the learning experience and visualize things better. Being able to see dynamic models of objects and events is way better than trying to picture them in your mind while reading a boring textbook. Perhaps, one of the greatest benefits of using high tech is the ability to study from any location in the world. It is especially beneficial to students who fall seriously ill, suffer from social anxiety, or are disabled. Also, it is an opportunity for those who travel a lot or work in other countries to study online and get diplomas and certificates from the world’s top education providers. While some services like Coursera offer online tutoring and counseling, companies like the essays.com provide help with academic assignments of all types and levels. Students who lack time because of their tight deadlines can delegate some of their writing tasks to experts and avoid getting low or failing grades. They say that there are two sides to every coin. So, let’s think about the negative impact of technological diversity. First of all, any digital device is a distraction. Having an Internet connection lets people enjoy the wonderful world of social media, use all kinds of apps, play games, watch movies, hold discussions, etc. Because of all that, they may simply forget about their responsibilities. Having a device with Internet access right in front of you, you may find it difficult to concentrate on your homework assignments or exam preparation. Some students who have no Internet access and can’t afford expensive devices can feel left out. They may even experience the feeling of inferiority if they do not have expensive tablets and mobile phones due to their family’s challenging financial situation. 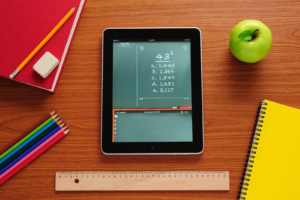 It may be costly to purchase all the necessary tech equipment to provide students with equal learning opportunities. With the exception of cons, experts see only great opportunities for the future. We should, therefore, use technology smart!